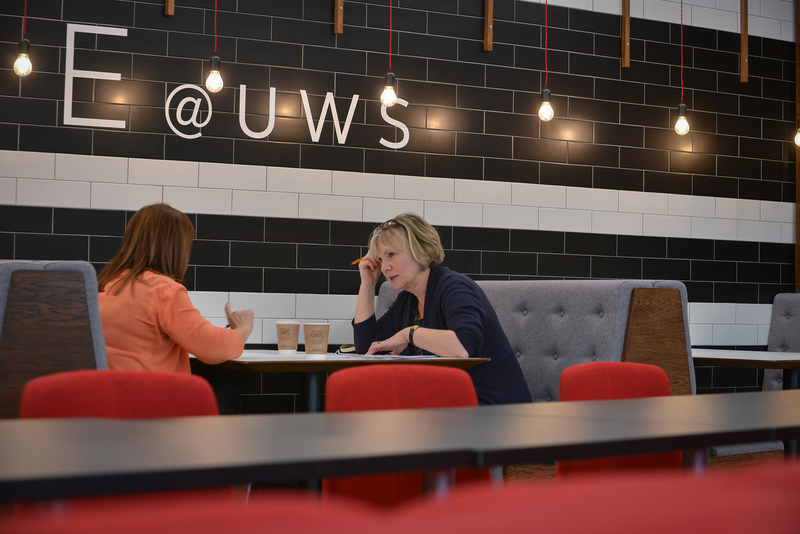 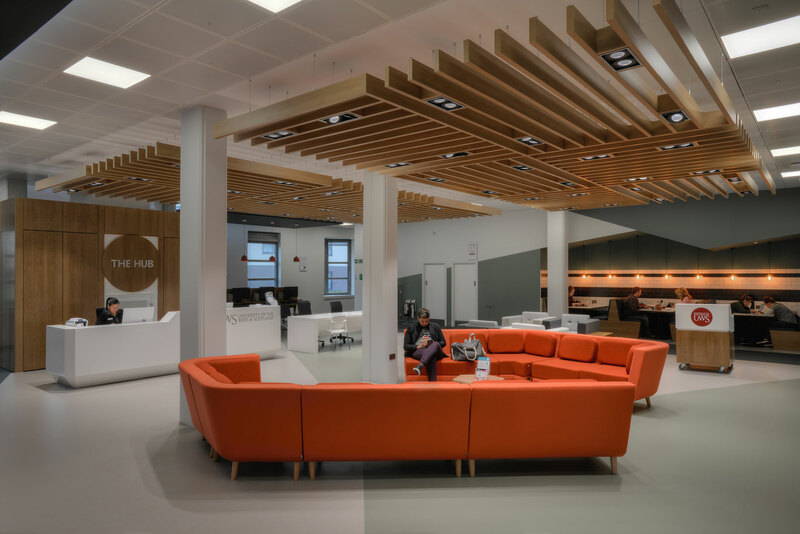 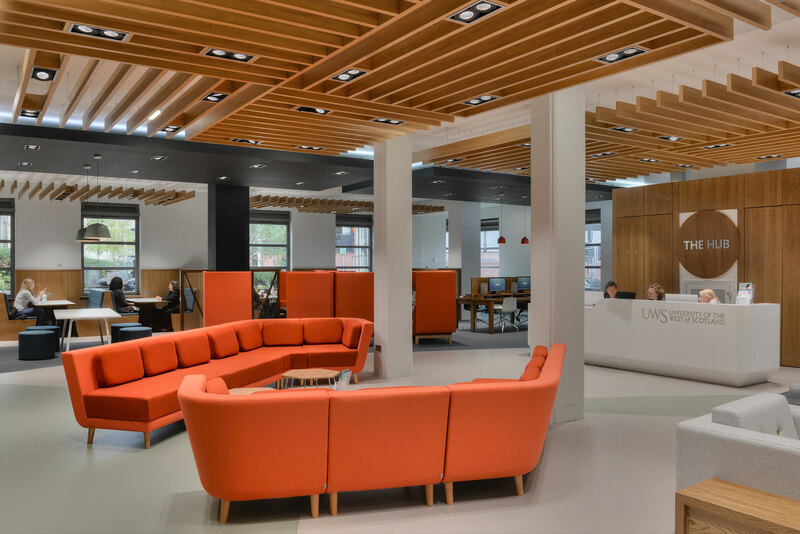 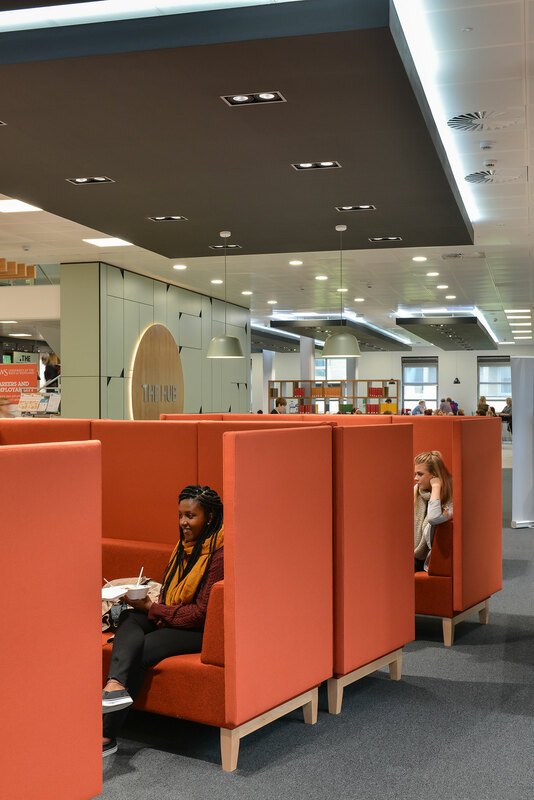 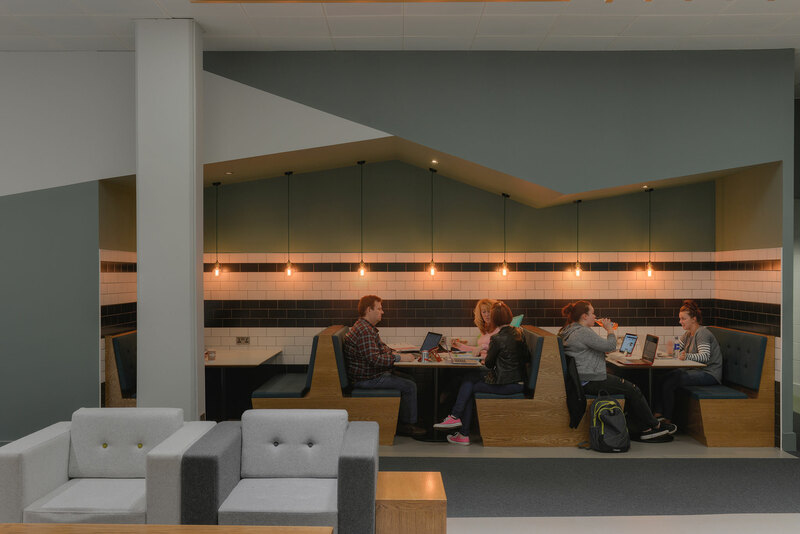 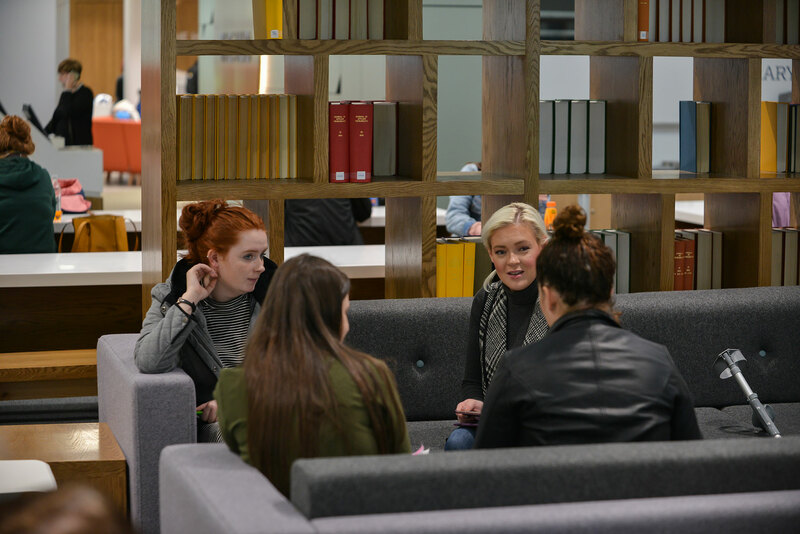 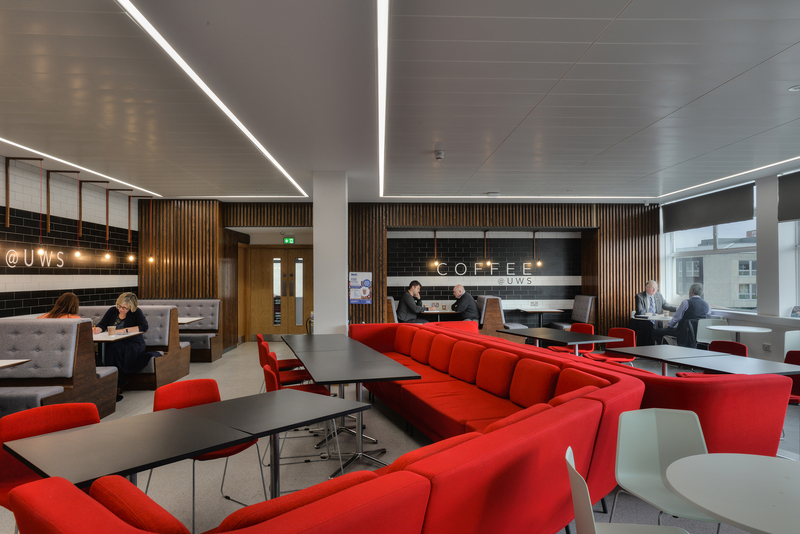 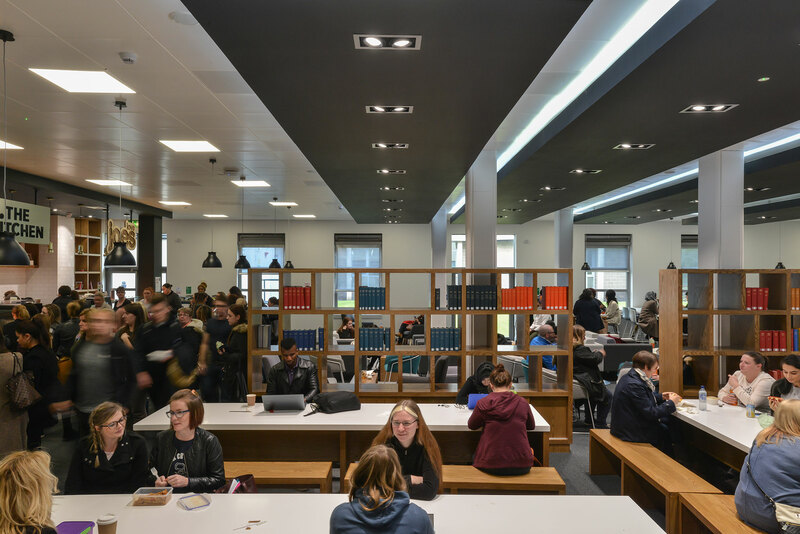 Graven worked collaboratively with the University’s team to design the interior of the UWS Paisley Campus Student Hub Learning Resource Centre, which brings together frontline services for students. 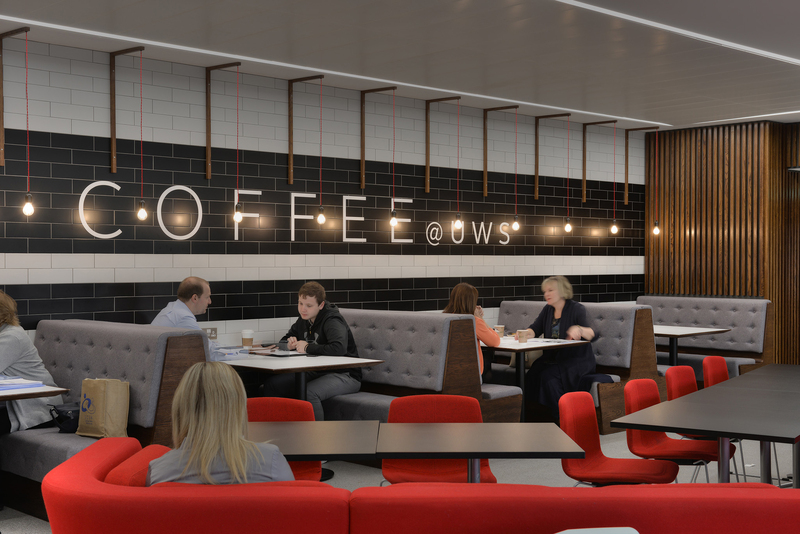 The project extends formal and informal learning spaces, a large learning resource centre, multiple café facilities and the University of the West of Scotland entrance from High Street all required clear messaging and convincing brand identities to compete on an even footing with big-brand F&B multiples in close proximity. 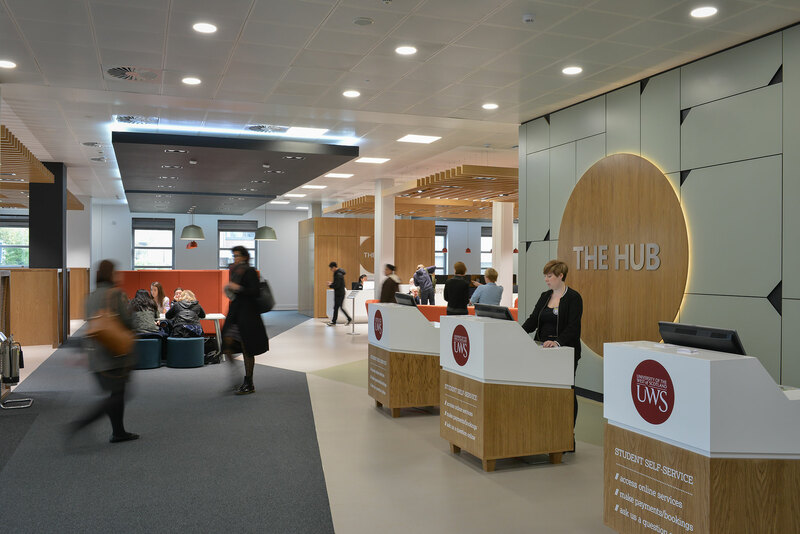 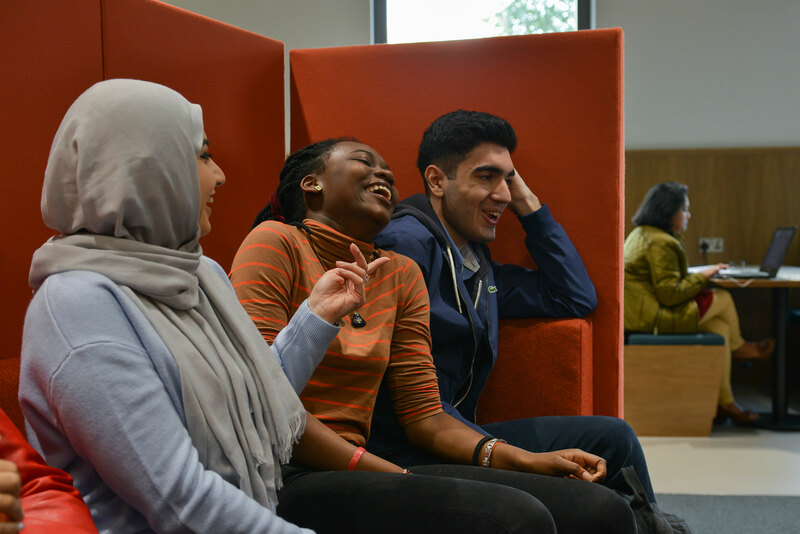 The High Street entrance and cafe facilities were designed to create an open, welcoming and flexible reception area for students, staff and visitors alike. 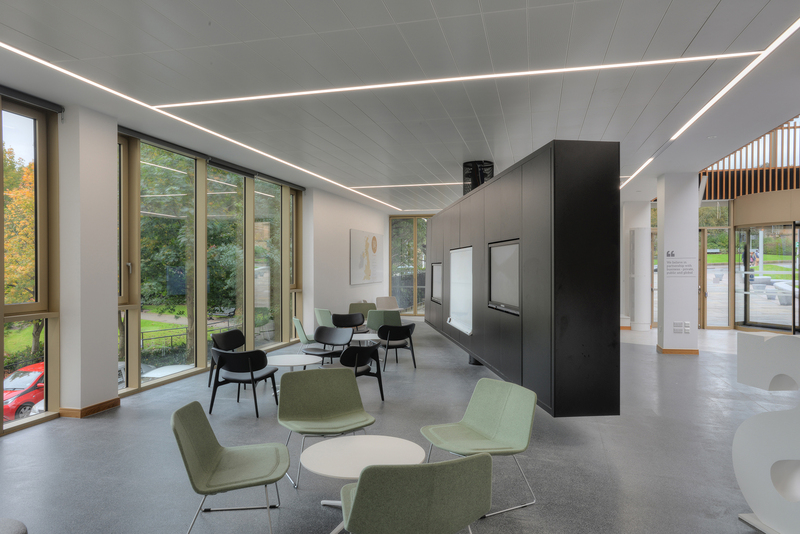 The concept was to allow the space to be flexible in use whether it be to host events or student functions as well as being a reception area. 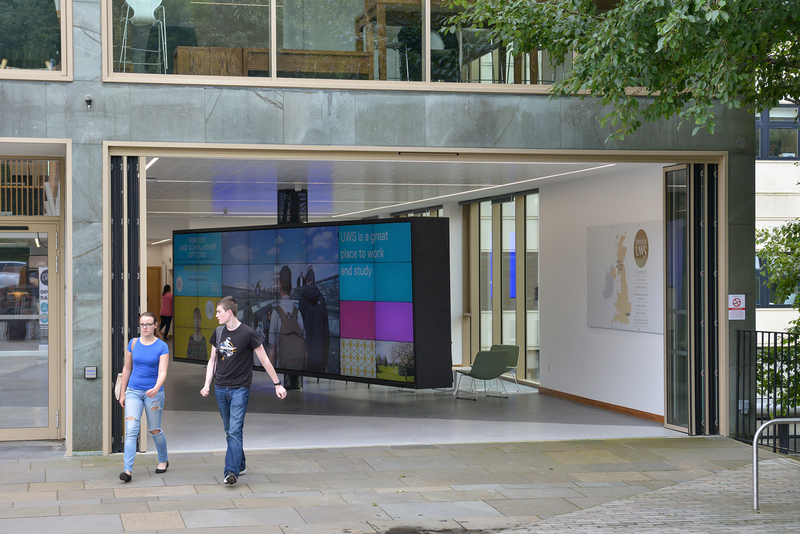 We were also asked to incorporate a sizeable technology wall which provides a focal point within the space and allows the University of the West of Scotland to show content relevant to the everyday goings on at the university.